Double vision? 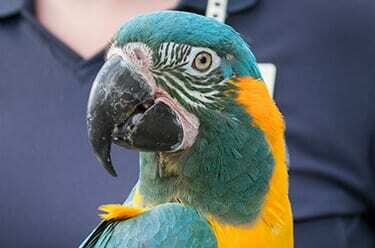 Although these birds look a lot like blue-and-gold macaws, they have a higher-pitched voice and, of course, a blue throat! 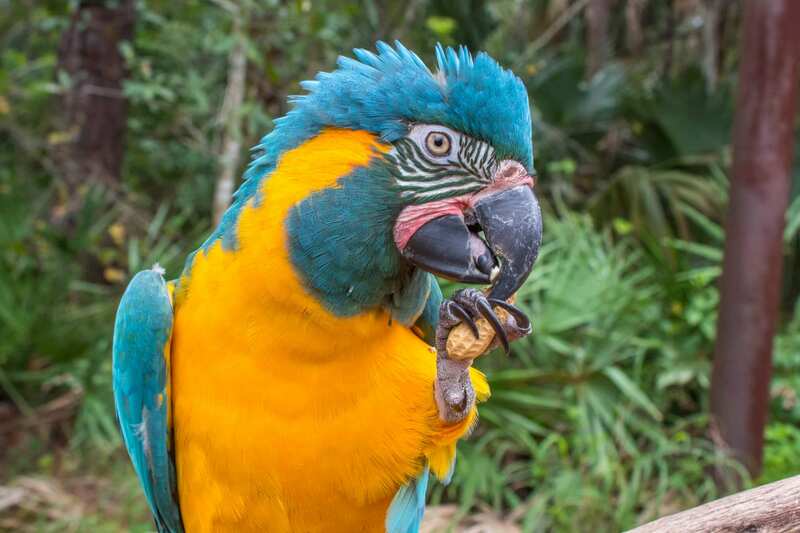 Blue-throated macaws have no feathers when they hatch.